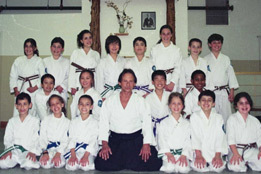 Our classes include the practice of Aikido combined with elements of kickboxing and strength & conditioning exercises. 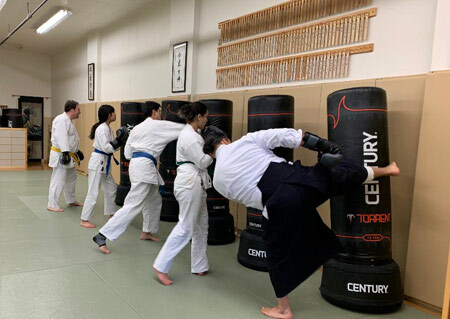 Our instructors teach Aikido movements, which generally do not rely on strength, therefore making it practical for women, men, and youth of all sizes and abilities. The kickboxing and strength & conditioning training is focused on improving of students overall cardio, power and striking technique. 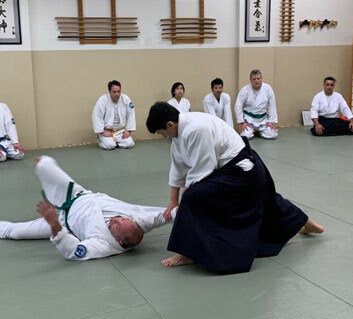 As with any discipline, deferent people find Aikido attractive for different reasons, including physical fitness, self defense, personal growth, and confidence. Call for an appointment to see why our program is so unique and successful. 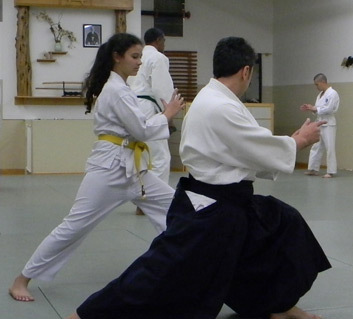 Aikido is an excellent form of physical exercise and self-defense for people of all ages. 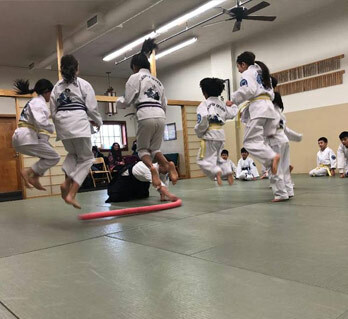 The program for teens & adults includes well-rounded system of Aikido Self-defense, Kickboxing movements and a blend of strength & conditioning exercises. Our instructors keep you motivated, while teaching smooth, balanced and coordinated movements in non-competitive, cooperative atmosphere. During classes and training sessions, students work with one another to refine their movements and further their health and wellness. Our classes will get you in shape and improve your self-esteem. 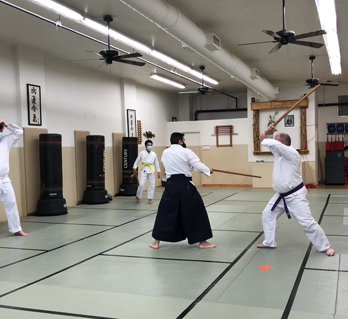 We offer weapon classes every Sunday morning, where we work with bokken and jo (staff) and practice defense techniques against moderns weapons, such as knifes, guns, and clubs. Any type of class will provide you with learning of practical self-defense skills. 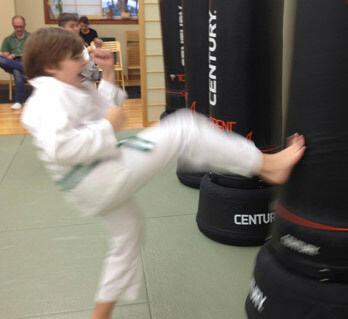 Your Child Will Achieve More Than Just Learning A Martial Art. 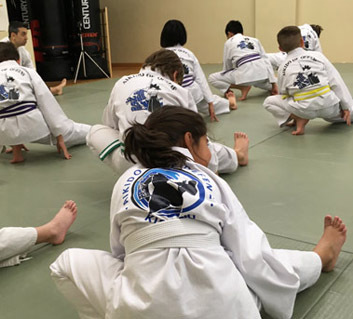 Your child will learn all of the life skill benefits that are taught at our school as well as the physical self defense techniques to deal with bullies and the self confidence to deal with the peer pressure that is common as they mature. 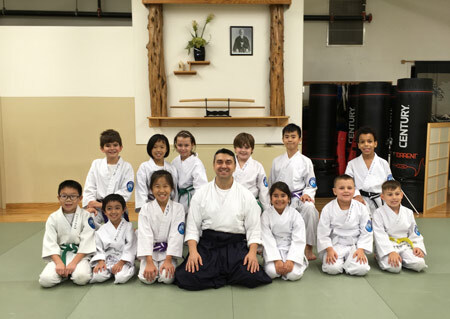 At Aikido Self-Defense and Kickboxing, we structure our lessons in a practical manner and safe environment, so that your child will grow up with a more positive self image, and with compassionate leadership skills. Our philosophy is based on the belief that children are our most precious resources and we have the obligation to lead them in the right direction, exemplify responsibility and teach the difference between right and wrong. Our program is an age-specific curriculum that is professionally designed to teach children important life skills in a fun, exciting, and enriching manner. We give each child easy and achievable goals right from the start. We use exciting and fun drills to teach your child life lessons. We strive to inspire self esteem in every child. 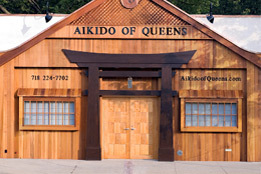 Our dojo was founded in 1997 by Robert Waltzer Sensei under the name "Aikido Of Queens". 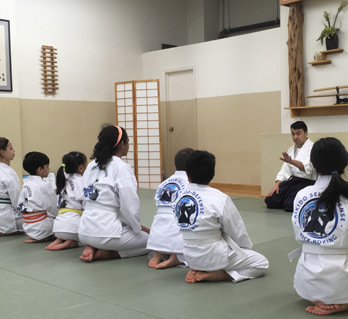 For more than 20 years our school has been teaching aikido self-defense to the residents of Little Neck, New York and surrounding neighborhoods – Great Neck, Douglaston, Bayside, Glen Oaks, Flushing and Long Island. We are an independent school, and our roots are derived from Nihon Goshin Aikido (Japanese Self Defense). 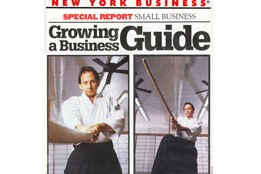 It is a system which was founded and developed by Japanese Martial Arts master named Shodo Morita. 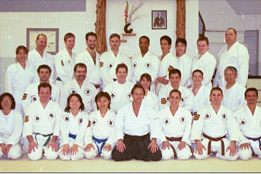 He trained under Yoshida Kotaro Sensei. Kotaro was a senior student of Sokaku Takeda and classmate of Morihei Ueshiba O Sensei in Daito Ryu Aiki Jujutsu. In 1946, Morita Sensei created Nihon Goshin Aikido, a practical system of self defense. 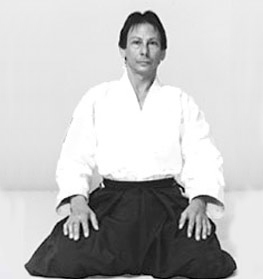 Techniques from Aiki-Jujitsu, Ju-Jitsu, Judo, and Karate form the basis of Nihon Goshin Aikido. Every important aspect of self defense is included in this system. On September 1st, 2018 our dojo has started a new phase under a new management. 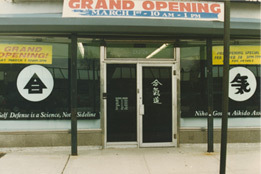 Robert Waltzer Sensei had turned over the running of the dojo to his student of 11 years Igor Novik Sensei. Waltzer Sensei continues to teach on Wednesday evenings. 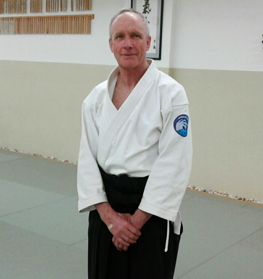 Novik Sensei brings his kickboxing background to the students. 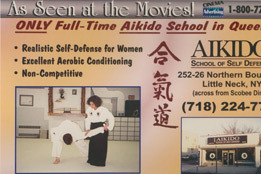 Our dojo has changed its name to "Aikido Self-Defense and Kickboxing". 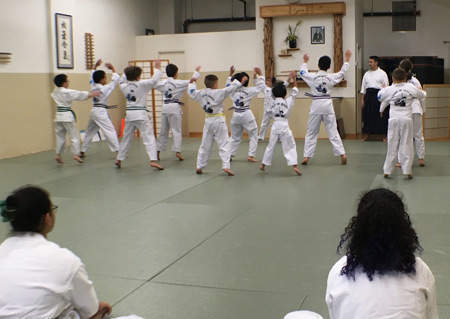 Our instructors strive to create a learning environment where students are both focused and relaxed and where they are able to maximize their individual potential while they work in harmony, cooperation and mutual respect. Aikido is a Japanese form of self-defense and martial art that uses locks, holds, throws, and the opponent's own movements. Aikido was developed by Morihei Ueshiba as a synthesis of his martial studies and philosophy. 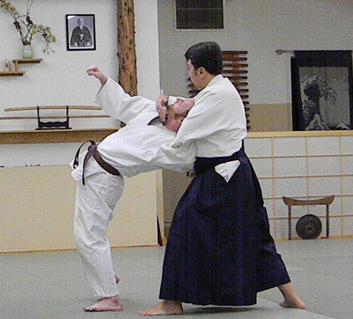 Aikido is known for its graceful techniques and swift seemingly effortless movements which propel an attacker through the air. 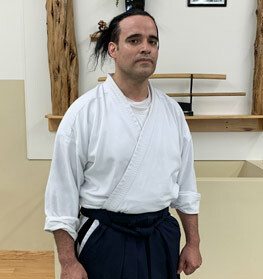 Aikido focuses on balance, posture, mental awareness and means of subtle, but often very painful, pressure applied to joints to bring the opponent down and under control. Aikido is an excellent form of physical exercise, self defense, personal growth and confidence. 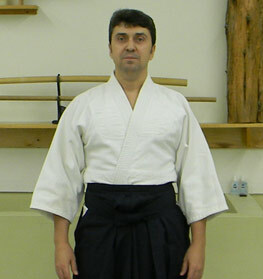 Aikido employs techniques that are traditional to samurai warrior of history. However, the conditions of our modern world no longer resemble the broad, open spaces of the battlefield. 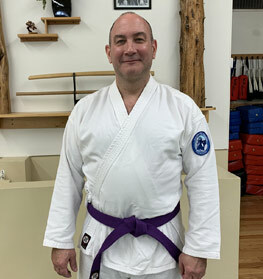 There are times when you simply cannot execute a broad, sweeping technique and find it necessary to defend ourselves in smaller space such as elevator or subway car. For that reason our program consist of an arsenal of defenses: kicks, punches, chops, elbow blows, chokes, restraining holds, techniques against moderns weapons (knifes, guns, clubs) – all that can empower a person in the modern world. Complete the form to find out more or to schedule a trial class. One-hour trial class fee is $20.